Mrs. Janie Watley, 67, of Ware Shoals, South Carolina transition on Monday, February 27, 2017, at Hospice Care of the Piedmont. 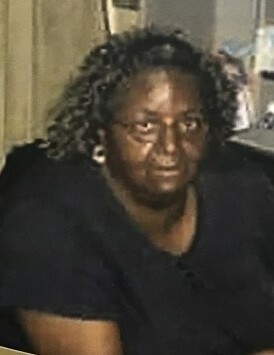 She was a member of Dunn Creek Baptist Church and also a member of the Dunn Creek Missionary. Left to cherish many fond memories are her husband, James Watley of the home, daughters, Carita Nelson, Rosetta Watley Johnson, and Quanisha Watley: sons, William Nelson Jr., Michael Watley, Shaun Watley, and James Watley Jr. Twenty-four grandchildren (Tori, TJ, KJ, Cy, Daisia, Diamond, Quincy, Amber, Dorothy, Bria Harrison, Janaya, Michael II, Ahkira, Akacia, Amaiya, Talon, Tre’uan, Deauntae, Tyson, Naomi, Jaylan, Durrell, Jamari and Kory); Ten great grandchildren (Josiah, Imani, Aziriah, Jayla, Harmoni, Sereniti, Kristofer, Zion, Alaya and Jordan).